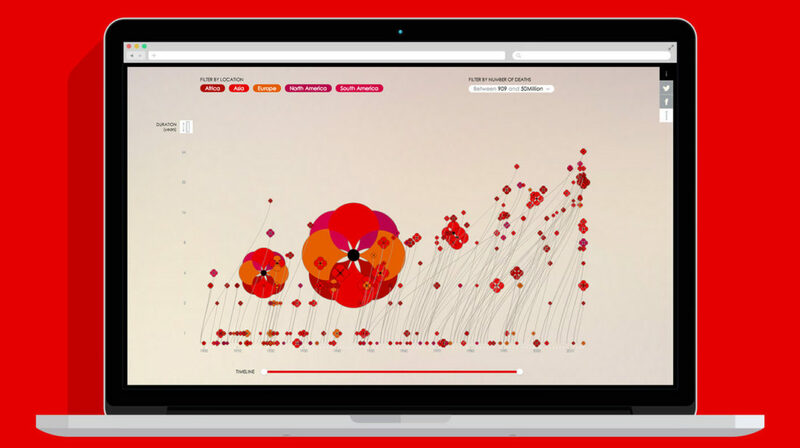 Poppy Field is an independent project that reflects on human life lost in war. 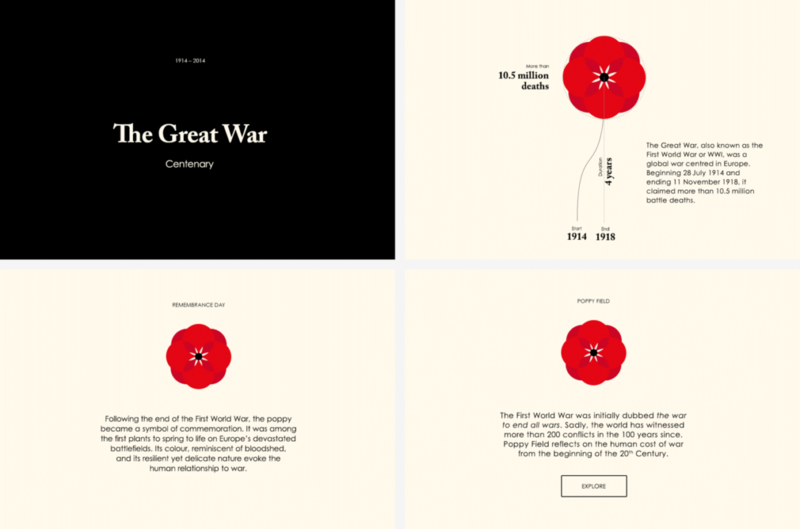 To observe Remembrance Day and commemorate The Great War’s centenary, the infographic visualises the timing, involvement and death totals for individual wars since 1900. The poppy, symbol of commemoration for the lives lost on wars, was first adopted the Great War. 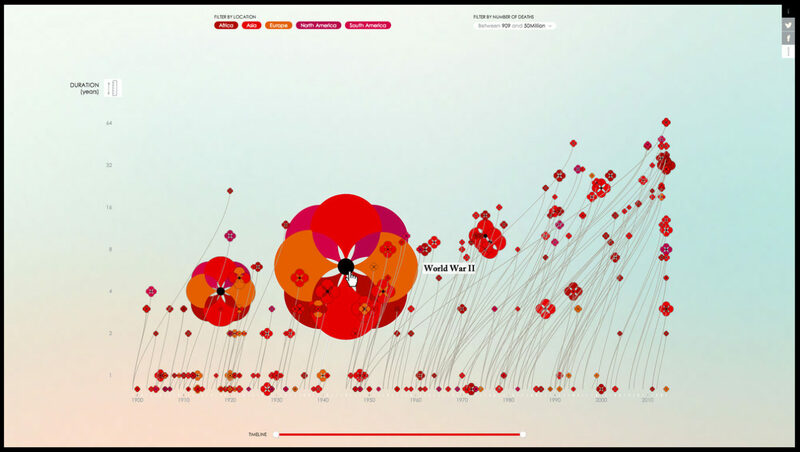 In the infographic, the stem grows from the year when the war started and the poppy flowers in the year the war ended. Its size shows the number of deaths and the variation of colour represents the areas involved. It might be 100 years since the Great War, but the world remains a very turbulent place. While the First and Second World Wars were the conflicts that by far killed the most, the graph also highlights how more modern wars tend to drag on as the politics involved becomes more complicated and the opposing sides less defined. The website was published on Remembrance Sunday, the 9th of December 2014.